What Causes a Perilymph Fistula? A perilymph fistula occurs when there is a tear in the thin membrane called the oval or round window. This window separates the inner ear from the middle ear. 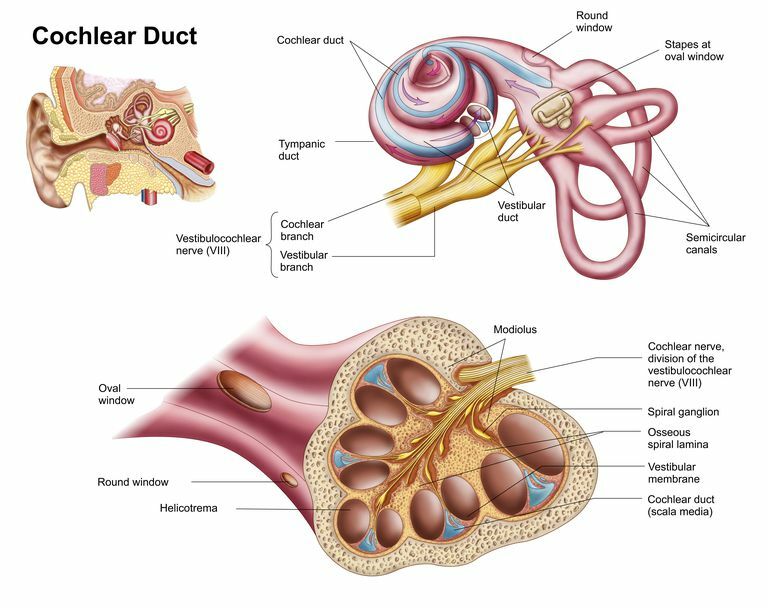 The inner ear is filled with a fluid called perilymph, so when the tear occurs it causes fluid to leak into the middle ear space. The middle ear normally is filled with air and doesn't contain any fluid. The most common cause of a perilymph fistula is head trauma. It can also be caused by barotrauma, a condition that usually occurs on an airplane or while scuba diving (when there are rapid changes it atmospheric pressure). Barotrauma can also cause severe pain in the ear and sometimes a ruptured ear drum. More rarely perilymph fistulas can happen during childbirth, can be congenital (have happened before birth), or from other unknown causes. Symptoms of perilymph fistula may become worse when you change altitude. Diagnosis of a perilymph fistula can be difficult because symptoms overlap with other inner ear disorders such as Meneire's disease. There also is not a "gold standard" test for diagnosing a perilymph fistula. However you can sometimes make the diagnosis from an MRI or CT scan. A thorough history can be very important in helping your physician determine whether or not perilymph fistula is a possible problem that is causing your symptoms. It is common to have your symptoms get worse when you are sneezing, straining, or coughing, and you should share this with your doctor. Another common symptom is the Tullio phenomenon, which causes you to experience vertigo when exposed to loud sounds. Of the tests listed above, there is some research that suggests that the best way to make a diagnosis of perilymph fistula is the medical history and a positive fistula or Fraser test. Often strict bed rest is recommended to allow your body to repair the fistula on its own. As long as symptoms are improving your doctor may continue bed rest or strict activity restriction for up to six months before considering surgical repair of a perilymph fistula. Certain medications may be helpful in treating symptoms but will not have any effect on the fistula itself. For example, medications like ondansetron and promethazine may be used to control nausea. Meclizine is a medication used to treat different types of vertigo and may be beneficial in treating symptoms. Diazepam is another medication that is sometimes used. Surgical repair of a perilymph fistula involves a tissue graft to repair the tear in the round window. Unfortunately this approach is not always successful in treating a perilymph fistula. According to the American Hearing Research Foundation in a study of 160 persons about 90 percent of patients had stable or improved symptoms after surgery. None of the patients reported worsening of their symptoms.